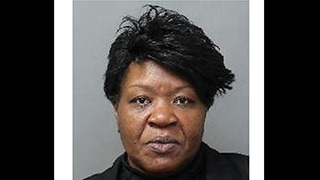 Convicted travel agent Carolyn Solomon, who was found guilty of fraud by a Toronto court and is still on probation, will be allowed to travel to Trinidad. Solomon assured Justice Diane Oleskiw on Friday her trip south would allow her to recover money to pay back victims. She’ll need lots, after defrauding clients and suppliers of nearly $500K. Global News first exposed complaints about Solomon’s company, Blue Mountain Travel, in 2015. Consumers reported they had given Solomon money for airline travel and vacation packages but when the time came to travel some of those tickets and vouchers were not valid. In an agreed submission by Crown attorneys and Solomon’s defence lawyer last year, the court heard that between 11OCT, 2014 and 31JUL, 2016, Solomon defrauded 56 individual consumers. Another 15 businesses lost money to Solomon’s fraud. The largest of those is WestJet, which is owed more than $21,000. Solomon was sentenced to 18 months in jail in 2017 and released in November after getting credit for time served. After her initial arrest, Solomon skipped bail and was captured weeks later. In January, Solomon failed to abide by probation conditions and was returned to jail. She was released on 31JAN. As part of her sentence, Solomon agreed to repay $454,397 in monthly installments of $12,874.76 for 32 months. Her first payment is due 17APR. Solomon asked the court for permission to make a trip to Trinidad to raise money toward her debt. She has a valid Trinidadian passport and she is also a Canadian citizen. Justice Oleskiw agreed to allow Solomon to make the trip but required Solomon to attend court on 17APR. Oleskiw told Solomon if she didn’t return to court or make her first restitution payment, a warrant would be issued for her arrest. Under terms of the sentencing and restitution order, she faces a further three-year prison sentence if she does not make any or all of the payments.